13″ x 10″. 144 pages. 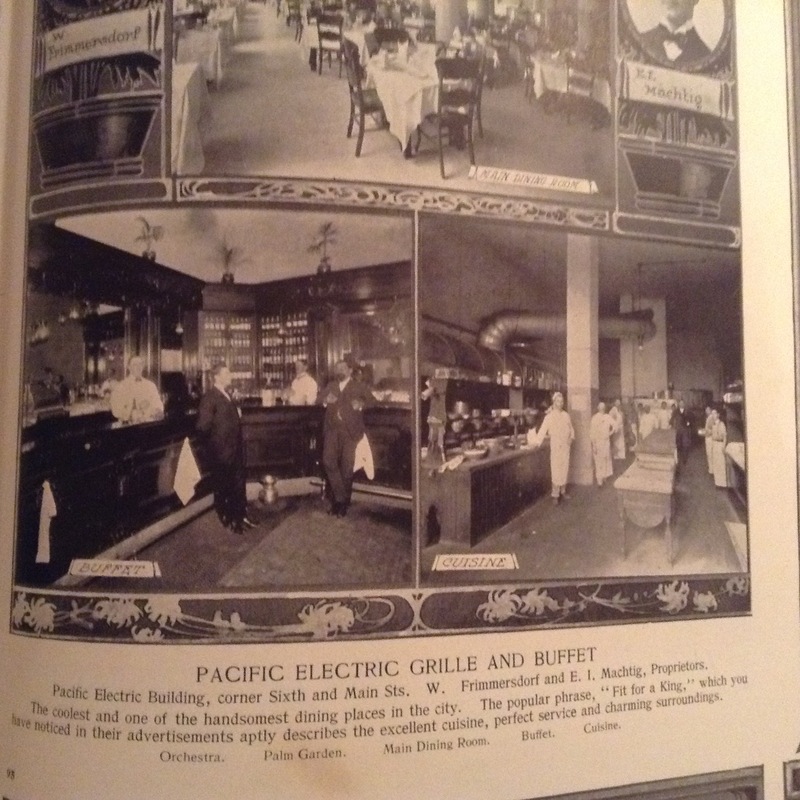 All compliments of original Pacific Electric Grill. Mr. Behannesey had an office in terminal c.1906-?. 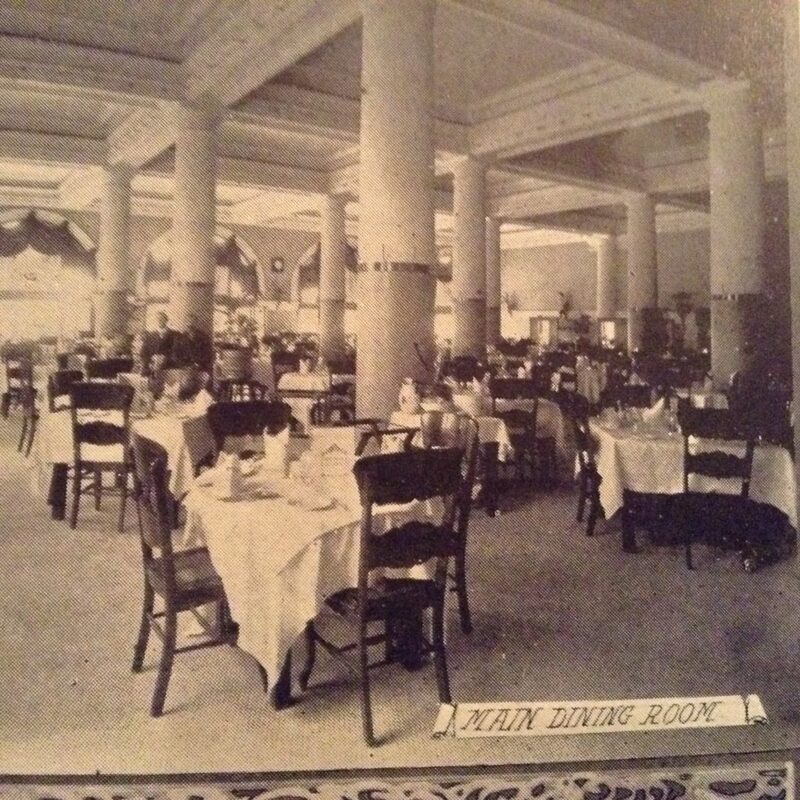 Another lost dining venue..P. E. CLUB CAFE, Chas. J. Kekich mgr. 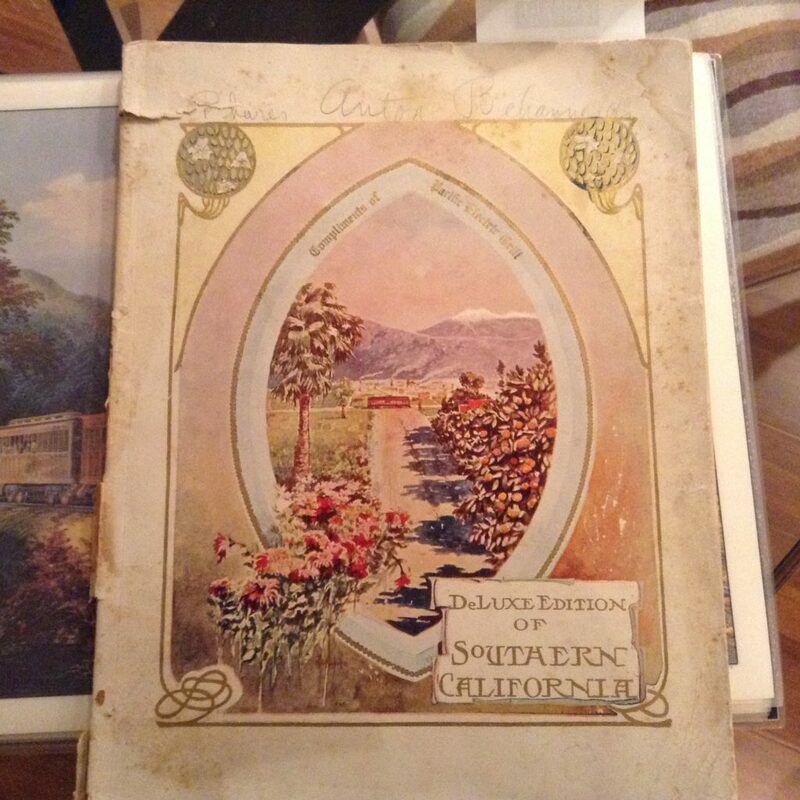 The style of the book would probably be 1900-1925. 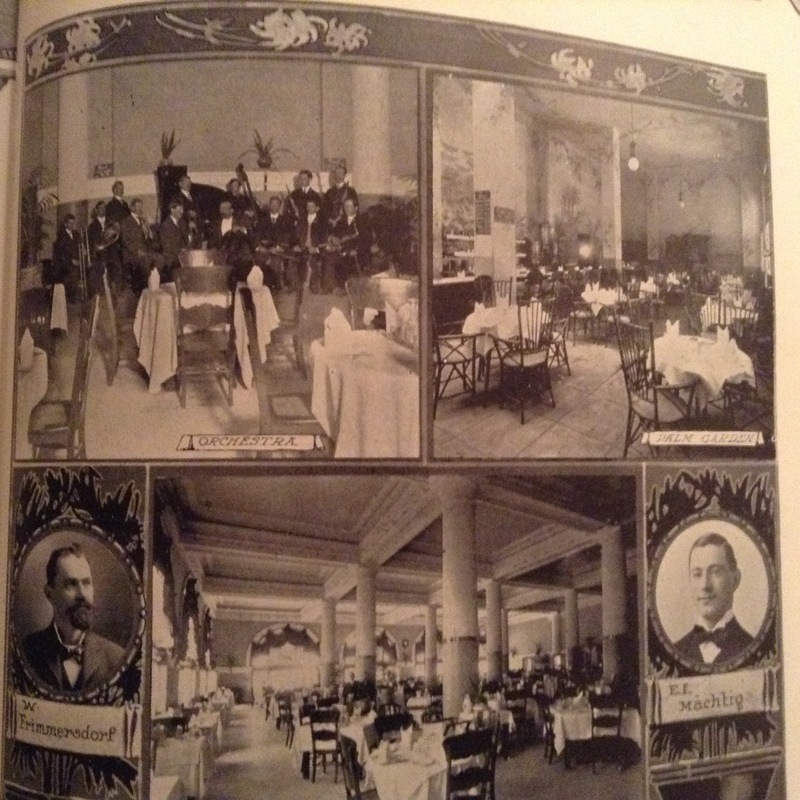 The era of the restaurant is datable as it is noted twice in Times articles…circa 1905/06. 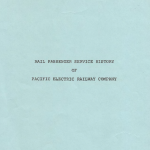 The book could be dated as it contains photos of the PE railway management at the time (including H.H.) 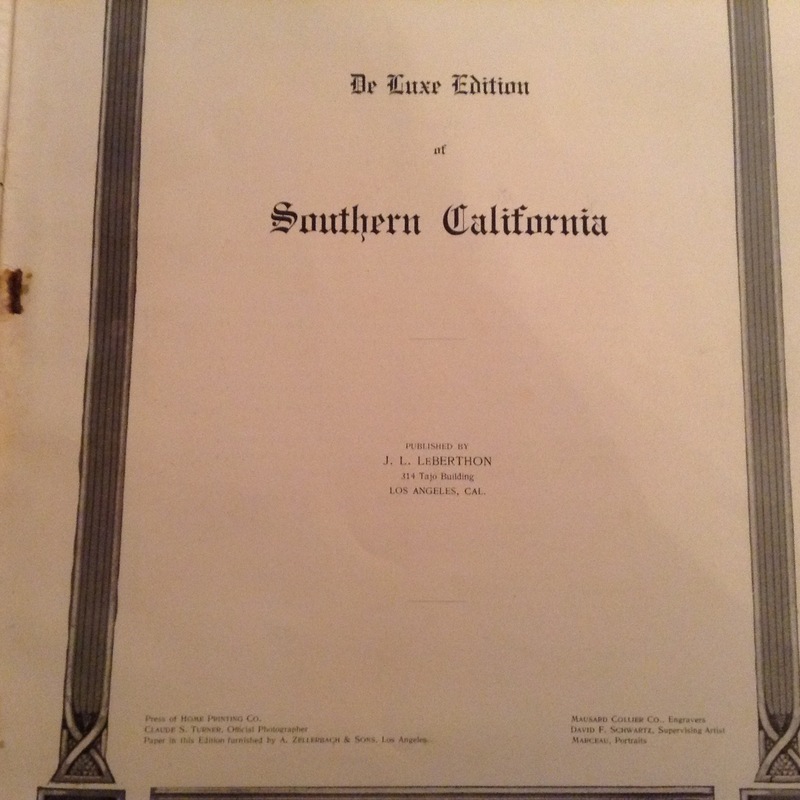 and many early SoCal features of a particular period…safe to say is probably before 1911 and possibly as early as the opening year of the 6th & Main Terminal which is in the photos (brand new).